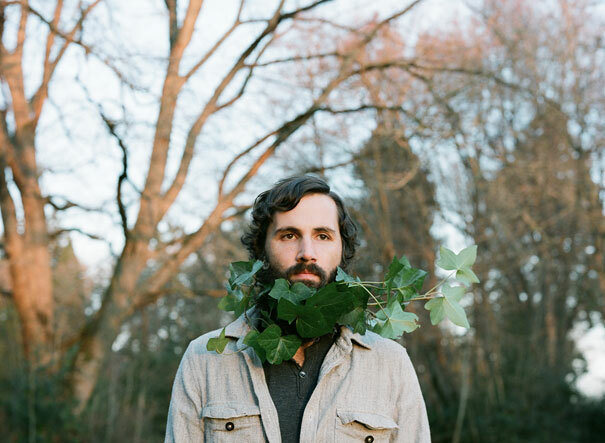 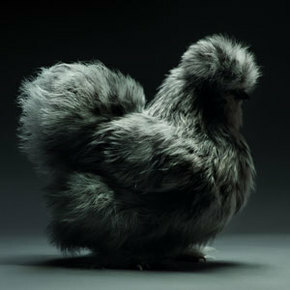 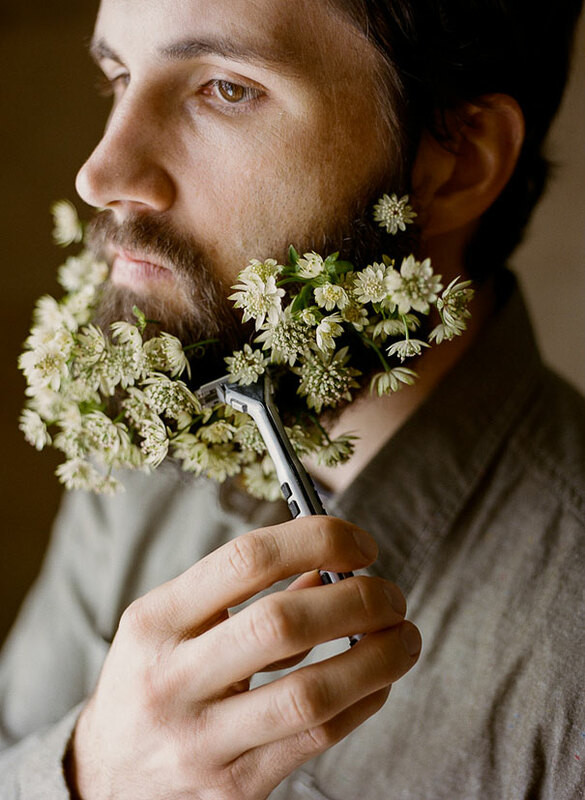 Some time ago DeMilked wrote about a photographer Pierce Thiot who puts all kinds of things in his beard. 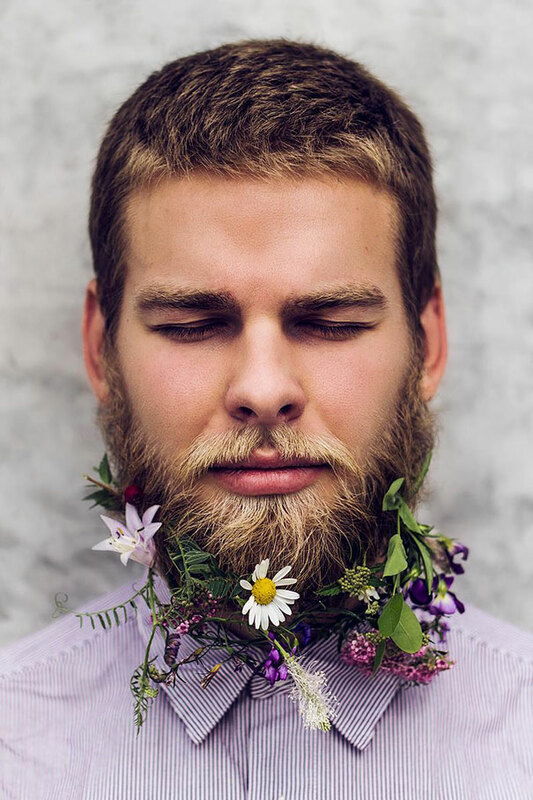 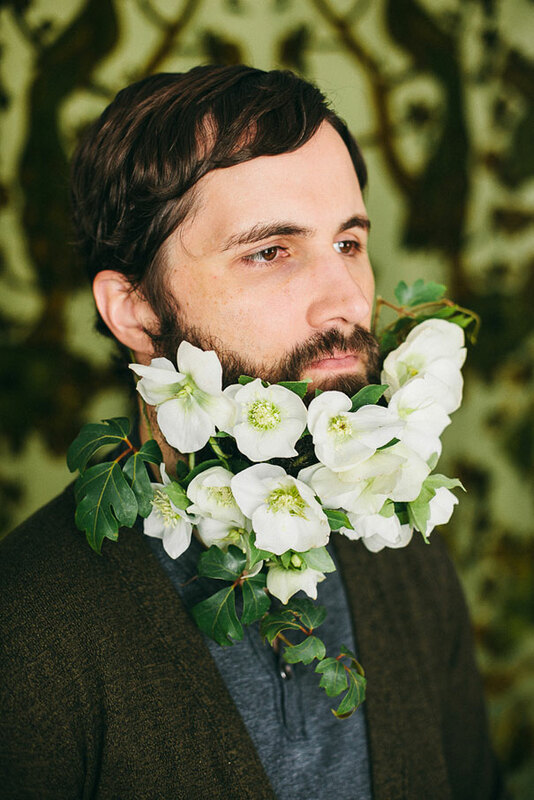 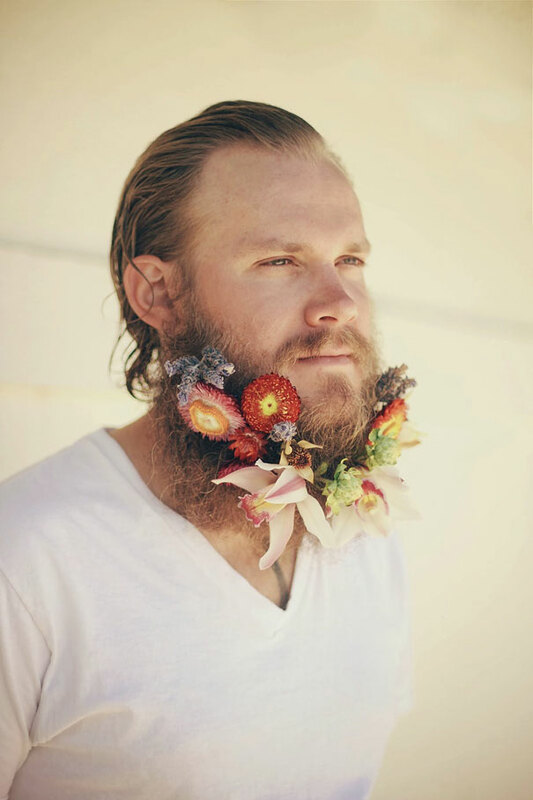 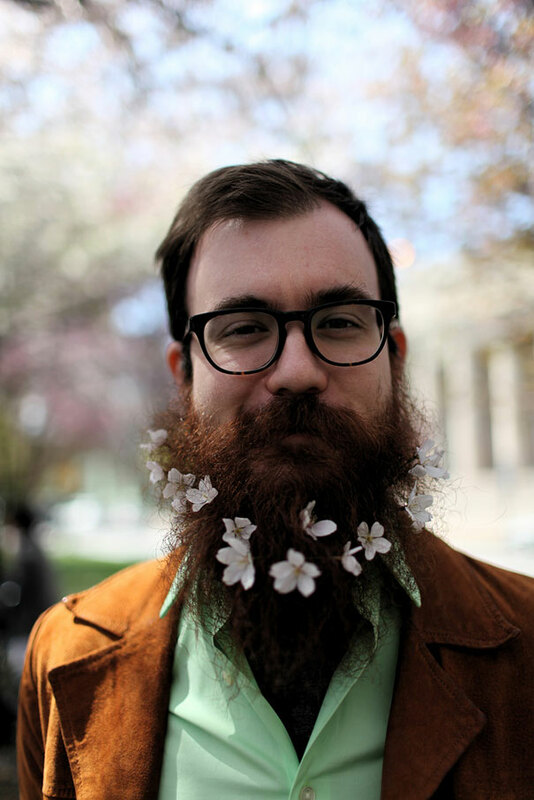 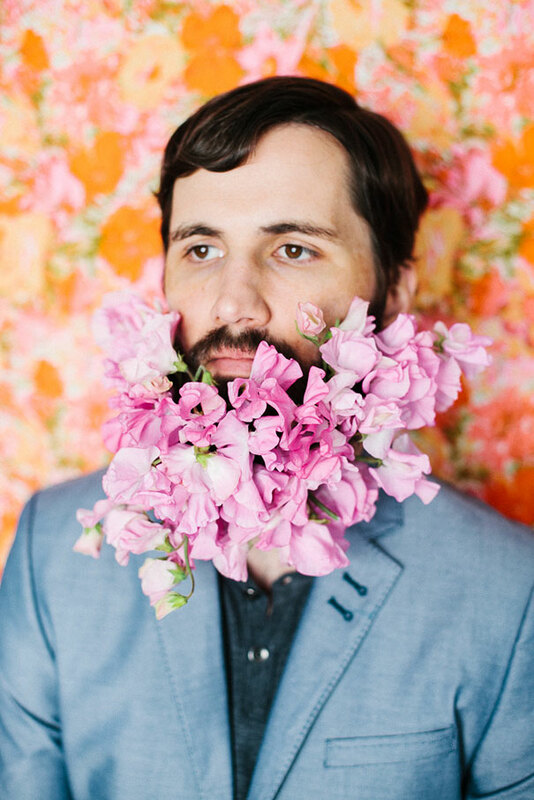 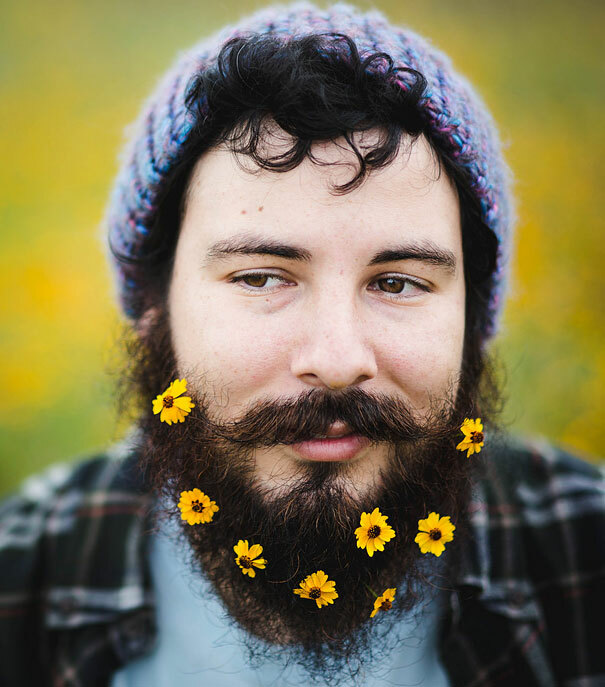 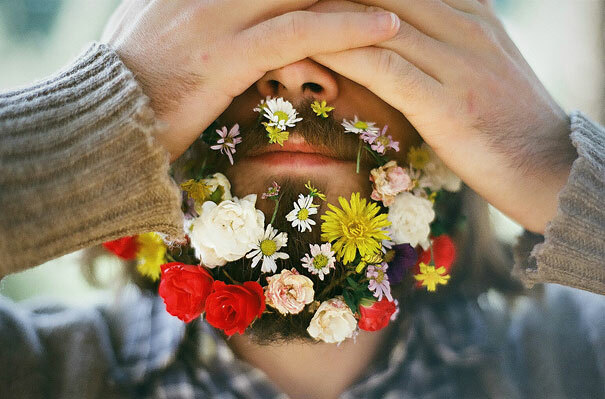 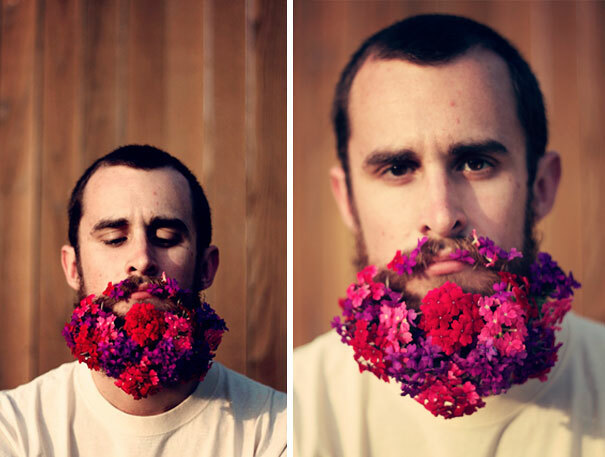 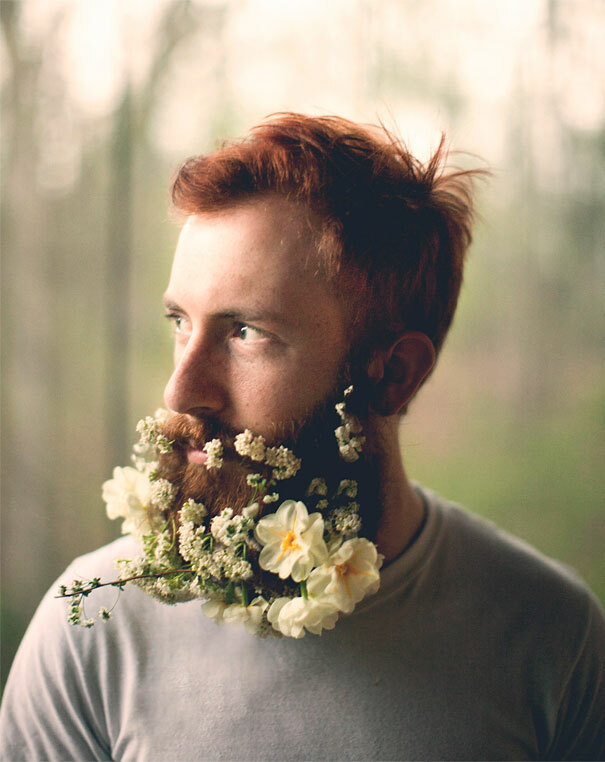 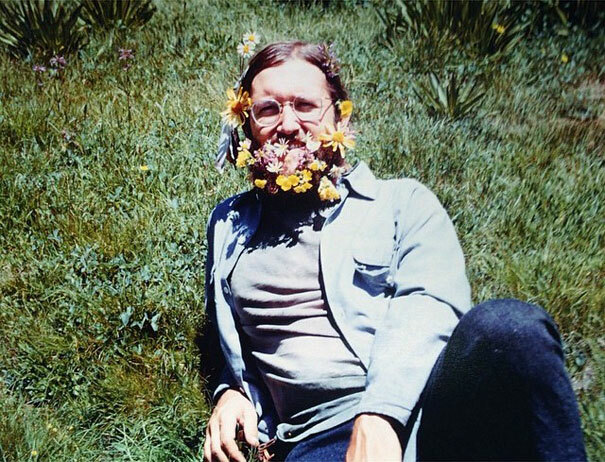 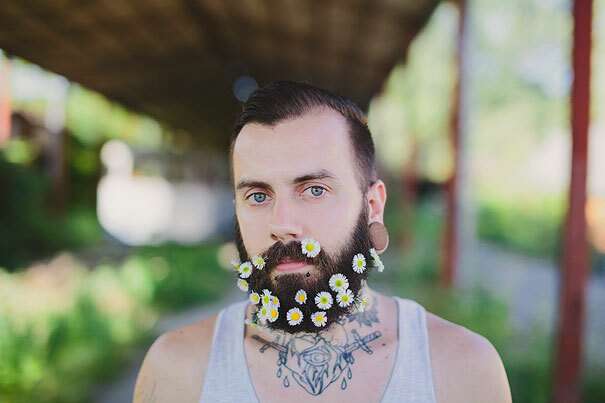 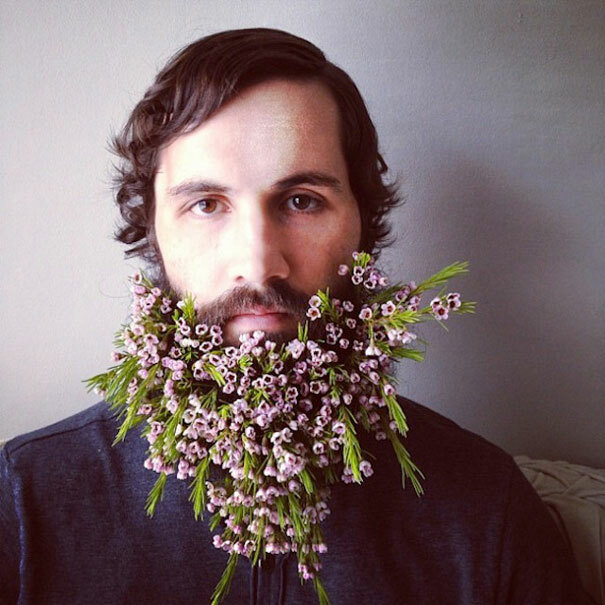 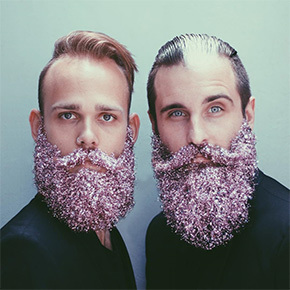 Turns out, he’s not the only one doing this – there’s a new hipster trend of men decorating their beards with flowers. 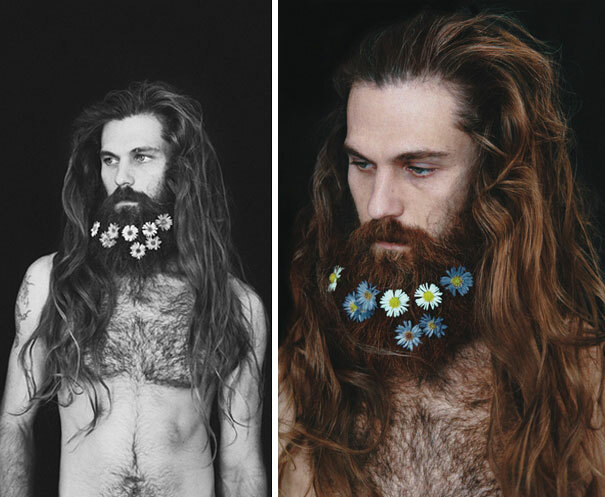 This idea may have originated by trying to mock the female obsession with flower crowns. 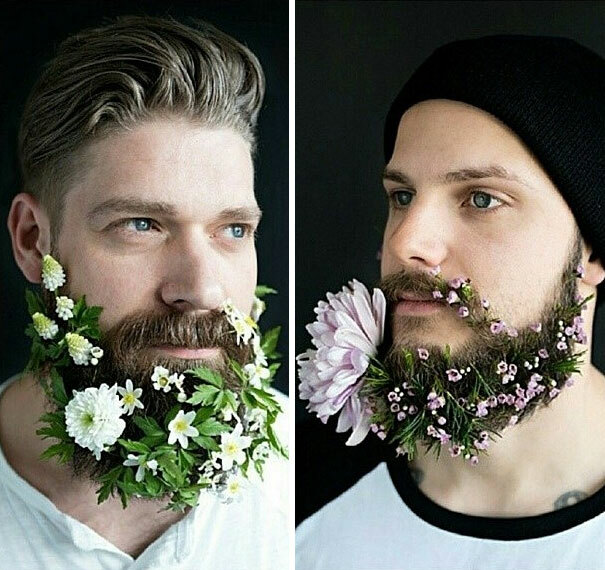 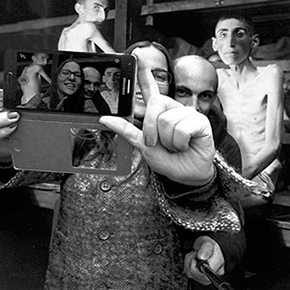 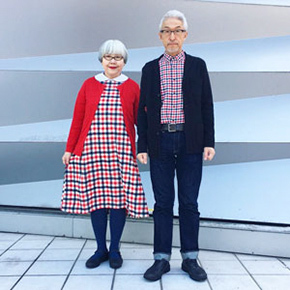 Interestingly, one picture even dates back to 1977, so this “latest trend” is probably just repeating what our parents used to do. 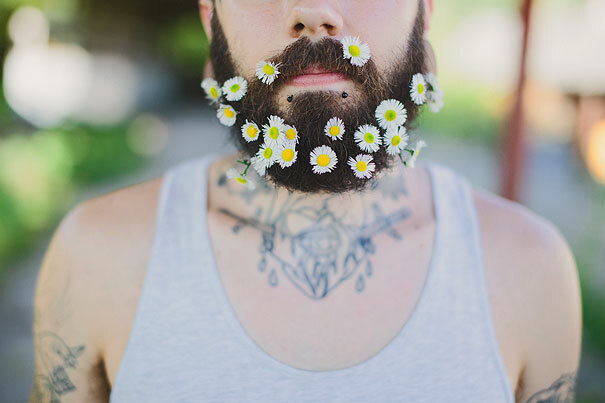 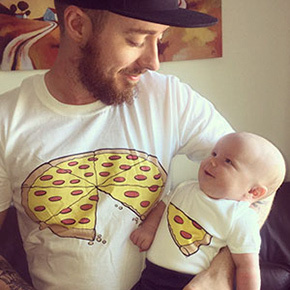 Youth is a time for silliness, God bless them. 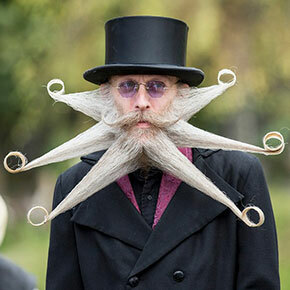 When I was young I bought a tailcoat for $5 for a fancy dance, bought adhesive letters, and put “MOSCOWITZ TUX AND MUFFLER” on the back. 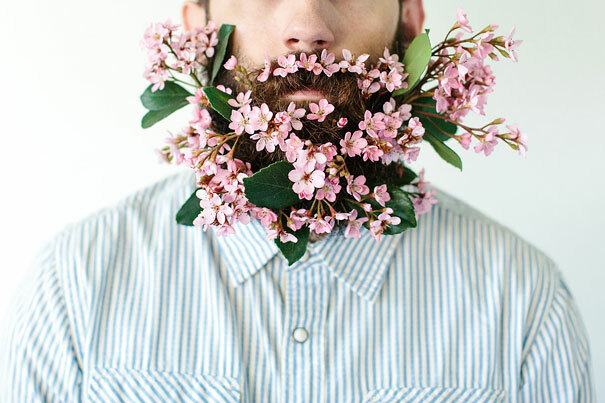 Because youth and silliness. 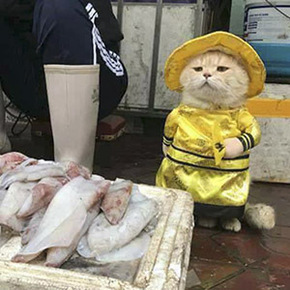 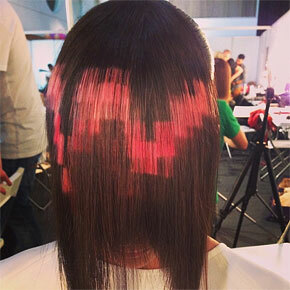 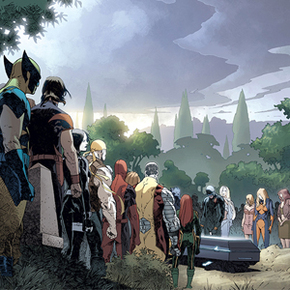 All trying to be different together. 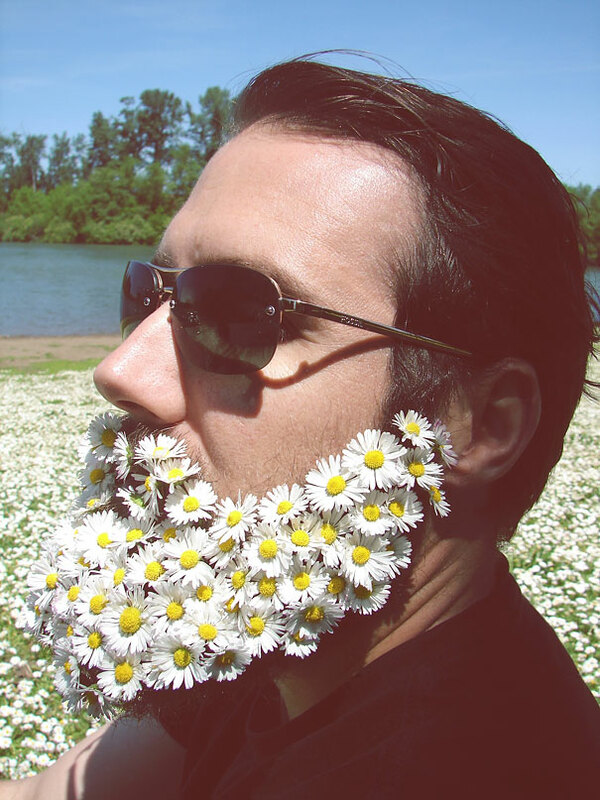 Heck did this a few years ago with my field of daises.